The full arch, double sash, Mahogany casement Window, springs from an era of utmost respect for aesthetics and uncompromising fine craftsmanship, the Mahogany Traditional French Casement Window is a celebration of beauty and structural architectural perfection. Manufactured with 1/2" laminated impact glass or with 1" insulated laminated Glass, the "Jerusalem" casement, Mahogany Window is operated with traditional Cremone Bolts that activates a 3 point hidden locking Mechanism. Custom manufactured stays matches the traditional Cremone Bolts. 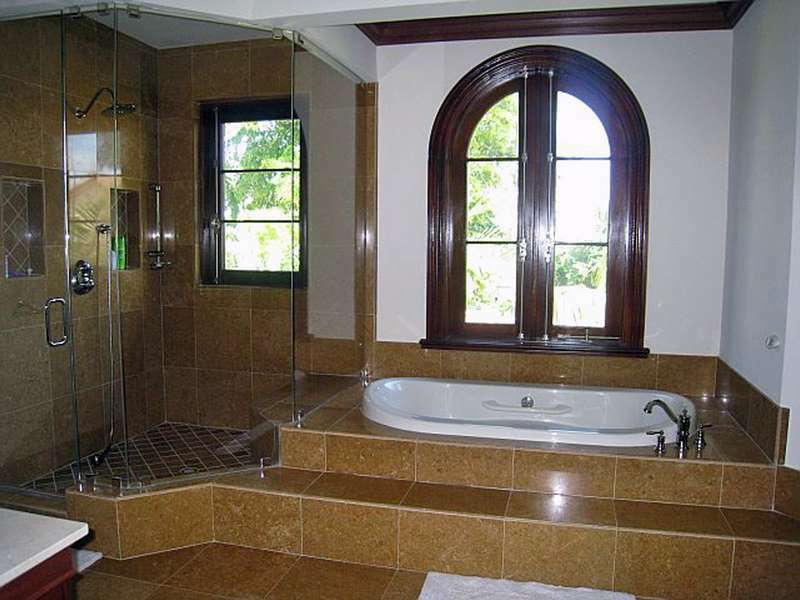 The "Mahogany Window" is dressed with 4" mahogany wave casing resting on a mahogany sill. Tested for forced entry, water infiltration, Impact, and Hurricane cycling to minus 90 psf The "Jerusalem", Impact Mahogany Casement window is rated as the strongest Wood Window in the market today.